The Nile Basin Development Challenge (NBDC) Program of the Challenge Program on Water and Food (CPWF) has been working in three woredas (districts) in Ethiopia – Jeldu, Diga and Fogera. Each of the project established an innovation platform (IP) in which lessons and knowledge are shared and joint approaches towards problem identification and solutions are sought. 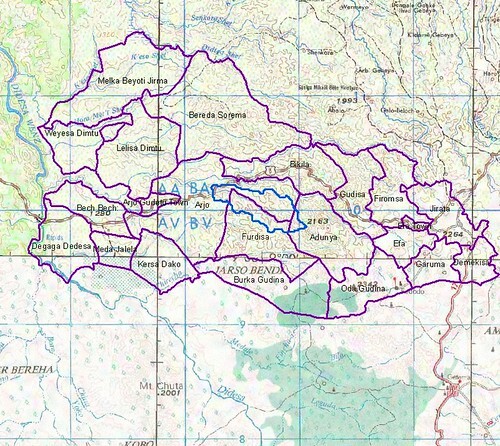 The Jeldu IP was established in September 2011 with 25 members representing farmers, district level institutions including the Office of Agriculture, Livestock Agency, Women’s Affairs, Office of Environmental Protection and Land Administration, Cooperatives Promotion and the Office of Water, Mining and Energy, and research and development partners such as Ambo University, Holetta Research Center, RiPPLE (Research-inspired Policy and Practice Learning in Ethiopia), the German development cooperation program on sustainable land management (GIZ-SLM), the International Livestock Research Institute (ILRI) and the International Water Management Institute (IWMI). More institutions joined the platform in the course of its operation including a local NGO called HUNDEE which later took on the responsibility of facilitating the IP. The IP conducted a total of seven meetings from September 2011 up to December 2013. Earlier meetings focused on identifying challenges and opportunities of rainwater management interventions along with the key priority issues of land and water management in the district. 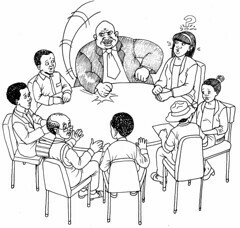 Later meetings were used for sharing of lessons and experiences around the action research and beyond. Despite some representation of farmers in the IP at the district level, the NBDC team early on felt that a more representative community members were required to decide on priority issues while ensuring effective participation of the community. 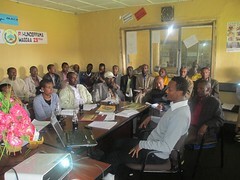 Subsequently community members from Kolugelan, Sirity and Chilanko kebeles representing different gender, age, wealth, and education levels were invited to participate in platform discussions. After thorough discussion among IP members and the community, it was agreed that soil erosion was the most serious problem in the area. The CPWF innovation fund granted USD 6,000 to conduct action research around the identified problem by the IP and the community. Platform members were requested to write a research proposal. A series of discussions were made in IP meetings and community dialogues to point out possible solution options to alleviate soil erosion problems. Primary and secondary factors contributing to soil erosion and its effects at different levels were discussed with deforestation and overgrazing of land by livestock and feed shortage identified as major contributing factors to soil erosion.The IP group identified fodder development as a feasible intervention that could also support the physical soil and water conservation campaign of the government. Following this, technical group (TG) members of the platform (with experts and researchers from Holetta research center, Ambo University, HUNDEE, Livestock Agency and Office of Agriculture) carried out action research on fodder development. Kologelan Kebele was chosen as a first pilot intervention for its strategic representation of other kebeles in the woreda. Initially about 32 farmers registered to take part in the fodder intervention. But eventually more and more farmers showed interest when they saw their friends planting forages in their plots. Participating farmers became 96, even though project follow up only focused on the initially registered 32 farmers. The emphasis was on forage options that are already in the system, instead of introducing a brand new material to the farming system. Desho grass (Pennisetum pedicellatum ), was initially introduced by Wodajo, a farmer in Chilanko kebele. Wodajo brought some splits of the grass when he went to Southern Ethiopia for an experience sharing visit sponsored by the government. He planted the grass at his backyard and the grass performed so well that it attracted the attention of his fellow farmers and the government’s extension workers. Wodajo then started making money from the sales of the splits. In one year, he sold the grass for over Birr 40,000. Wodajo and Desho became very popular in the woreda. In fact Wodajo currently owns a wood workshop in Gojo town as a result of the capital he made from consecutive sales of the Desho grass. This has played a huge motivational role in the community for the adoption of Desho grass. The farmers at Kolugelan were also interested to plant this grass at their backyards and on soil bands for livestock feed and soil water conservation (SWC). All 96 farmers planted Desho grass (some in backyards, some on soil bands, some both ways). Farmers were also provided with Tree Lucerne (Chamaecytisus Palmensis), and Napier grass (Pennisetum purpureum). 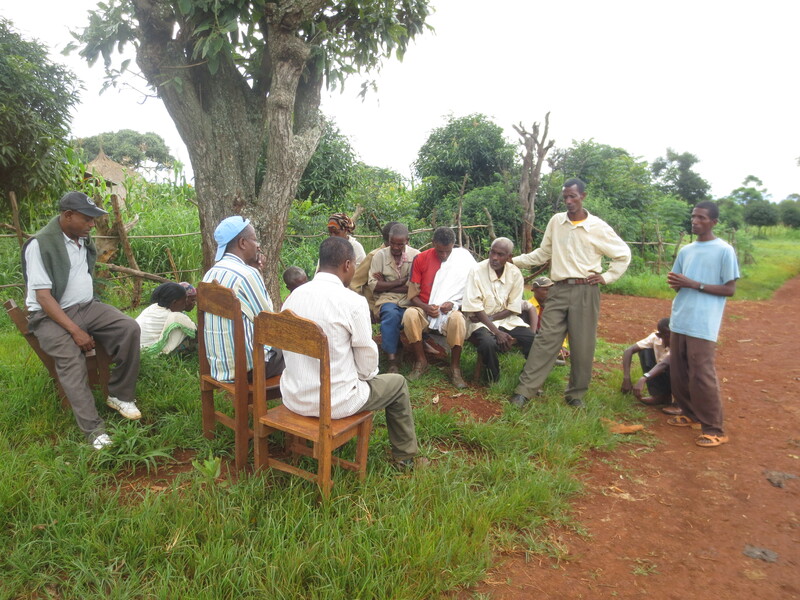 In 2013, the IP expanding the intervention to a larger number of farmers in Kolugelan kebele using an additional USD 10,000. Sixty-five new farmers were registered for fodder intervention though, once again, more farmers joined and a total of 141 additional farmers were issued Desho planting materials. More ‘Wodajos’ appeared among the farmers who planted Desho in 2012. They became sources of planting material for the intervention in 2013. Some of them sold Desho planting material for up to Birr 10,000 to their fellow farmers. Establishing Desho in backyards and on soil bands thus became much clearer in the second year of intervention. During the field day organized by the IP, farmers from neighboring kebeles appreciated the performance of Desho on soil bands and backyards during the dry season. ILRI staff trained IP technical group members on platform facilitation and participatory research methods, which helped them while undertaking the action research. After the training, HUNDEE, the local NGO assumed the total responsibility of facilitating the IP and overseeing the action research process, including handling of financial matters. This helped NBDC staff to take a backstopping role from some distance. IP members who took part in training events and workshops witnessed their exposure to wider networks adding value to their personal careers and they enjoyed tremendous lessons from one another. In both 2012 and 2013, farmers were trained in establishment/management and utilization of feeds to their livestock. The training in the second year included management and utilization of existing/ traditional feed resources along with improved forages. Farmers during the last field day and stakeholders in the IP closing event which took place on December 31, 2013 evaluated and strongly commended the project’s achievements. They testified that the project has been able to bring them together around a common agenda and that they learned much from the process itself as well as from one another in the IP and action research process. It is the day of celebration of our achievements and looking forward to continued efforts, not closing day – Ato Zegeye, HUNDEE general manager. The technical group members of the IP witnessed that their skills in conducting participatory research as a team have increased with their involvement in the action research. Nevertheless, some of the challenges faced by the IP, especially the technical group members include: less acknowledgement and appreciation of their work with the IP by their respective supervisors; occasional conflicts; time management issues as they have their own assignments from their offices, etc. Farmers request improved cattle breeds for dairy. They want to produce more milk for family and market. They also envision small scale milk processors for production of butter and cheese. Some consider fattening of beef and sheep. Holetta research center heralded the new initiative around Jeldu to apply hormonal synchronization to introduce artificial insemination services. Both farmers and IP members are optimistic about the Ginchi – Gindeberet road which crosses Jeldu (Gojo town) to be asphalted in the near future to facilitate product marketing for a better price. Adding more fodder options, especially legumes, has been raised during the discussions with IP members. Government partners are planning to take Desho Grass to wider distribution in the woreda as part of the watershed development strategy. ILRI/IWMI envisions more activities in the site with CGIAR Research Programs such as Water Land and Ecosystems and Humidtropics. The Nile Basin Development Challenge (NBDC) established local Innovation Platforms (IPs) in each of the three sites where it worked. The platforms aimed to bring stakeholders together (government offices, NGOs, researchers and community representatives) to identify joint solutions to pressing rainwater management challenges. But how could action be incentivized when the returns on investment in natural resource management are so long-term? In an effort to provide incentives for stakeholder engagement, the team trialled use of a small grant fund from the CPWF. The Nile Basin Development Challenge (NBDC) program established three local Innovation Platforms (LIPs) in Jeldu, Diga and Fogera Woredas and these have been addressing different specific issues around Rainwater Management. Diga is one of seventeen woredas of East Wollega zone of Oromia state, located close to Nekemte, the zonal capital of east Wollega. It features a mixed crop-livestock farming system and is characterized by two agro-ecologies: midland and lowland. Natural vegetation is comparatively widespread, although deforestation and land degradation are increasingly prevalent. As part of the NBDC research for development interventions, the Diga Innovation Platform (IP) was initiated in July 2011. The platform consisted of key local partners including the Woreda administration, experts from the Bureau of Agriculture, development agents, farmer representatives, researchers from research institutes and the university as well as non-governmental organizations (NGOs). In March 2012 a meeting was held to identify the main issues/agendas that the IP would work on. Land degradation was identified as a major issue by all stakeholders, as well as termite infestation. Platform members agreed that the main objectives of the IP were to find ways to address land degradation through improved management of land and water, to tackle termite infestation and rehabilitate the degraded landscape. Forage development was identified as an entry point to address the prevailing livestock feed shortage, degraded land and severity of termite infestation. Following this meeting a technical team representing various partners’ institution was formed and a local innovation fund was introduced to provide seed money to initiate interventions to address the prioritized issues. Following identification of forage development as an entry point, backyard, on-farm and communal land forage development was piloted in 2012 at Dapo and Denbi villages of Arjo Kebele following the supply of inputs and provision of training to 40 men and women farmers selected from the two villages. Forage development was demonstrated on about four hectares of land. Various grass species including Rhodes grass (Chloris gayana), Napier grass (Pennistum purpureum) and Chomo grass (Bracharia humidicola), and multipurpose trees such as Sesbania sesban and Leucaena leucocephala were grown. However, the late supply of inputs severely affected the performance of the fodder for the season. Despite the late planting, the pilot interventions created good ground for sharing the information about the fodder through farmer field days. Researchers and platform members observed that the interventions had a significant positive influence on both direct and indirect beneficiaries. Community involved in developing bylaws for communal land management and the bylaws got approval from woreda line offices and then fed back to the community. However, the forage development on common land undertaken in the first year was largely unsuccessful due to conflict of interest among the community members. The main reason for lack of consent in Diga case is lack of communal land in reality. The so called communal land was already appropriated by different individuals. Many lessons were drawn from the first season and good measures were taken to improve IP activities and interventions. In 2013 the central IP facilitation role – previously ensured by researchers from the International Livestock Research Institute (ILRI) and the International Water Management Institute (IWMI) – was devolved to local partners in order to ensure longer-term sustainability of the platform. An agreement was made with Ethiopian Evangelical Church Mekane Yesus (EECMY) – Development and Social Services Commission (DASSC), as a local NGO, to play a leading role of coordination, managing the innovation fund, facilitation and reporting. Representatives of key institutions were involved as Technical Group members of the IP, in order to support the on-going fodder interventions. The handing over of facilitation was an important step in enhancing the role and ownership of local partners. This had a positive impact on budget delivery, and as a result Participatory Action Planning exercises, new site selection, input supply and training of farmers were conducted in a timely fashion. In addition the technical group members were offered various capacity buildings opportunities by ILRI/IWMI researchers, notably training on IP facilitation, participatory research approaches, farmer needs assessment, and the Feed Assessment Tool (FEAST). These opportunities have helped the technical team build their facilitation, research, execution and mentoring capacity. Reflection meeting with community after field visit at Dembi village (Diga) – The local innovation platform’s action research site (photo credit: ILRI/Gerba Leta). 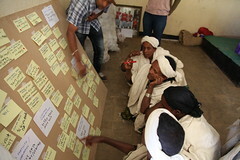 The backstopping services from IWMI/ILRI researchers also improved the technical group’s’ approaches to training delivery for the farmers. As a result, the farmers’ interest to engage and their implementation capacity have improved immensely. The number of villages increased from 2 to 3, participant farmers rose from 40 to 60 and the size of land allocated to forage development went from 4 hectares to over 11 hectares. Moreover, access to quality seed, and quantity of planting materials and fertilizer also increased. As a result of the innovation fund and the generous supply of seed from Bako ARC, the IP has also introduced two additional fodder species, Desho grass (Pennisetum pedicellatum) and Desmodium (Desmodium uncinatum) to the district. Desho grass is well developed in the Jeldu site (one of the NBDC sites) and was introduced to Diga through a capacity-building and experience-sharing event organized for IP members from the three NBDC sites at the ILRI campus. As well as supplying feed for livestock both grasses contribute to the control of soil erosion and to improve soil fertility and are therefore promising resources for the woreda’s future endeavours in livestock production and land management. Unfortunately over the two years of interventions, attempts to cultivate fodder on communal lands did not succeed. However, on-farm fodder development integrated with soil and water management practices was enthusiastically adopted by participating farmers. They implemented a combination of soil bunds and cut-off drains as part of their fodder plots, in addition to planting multipurpose tree species as buffers and use of Napier grass and other multi-purpose trees to stabilize soil bunds. The income that farmers have generated from the sale of forage seed (e.g. a farmer called Lata Tuge sold for ETB 1000 in 2012) as well as the ability to store feed for the dry season have had significant effects on farmer livelihoods. 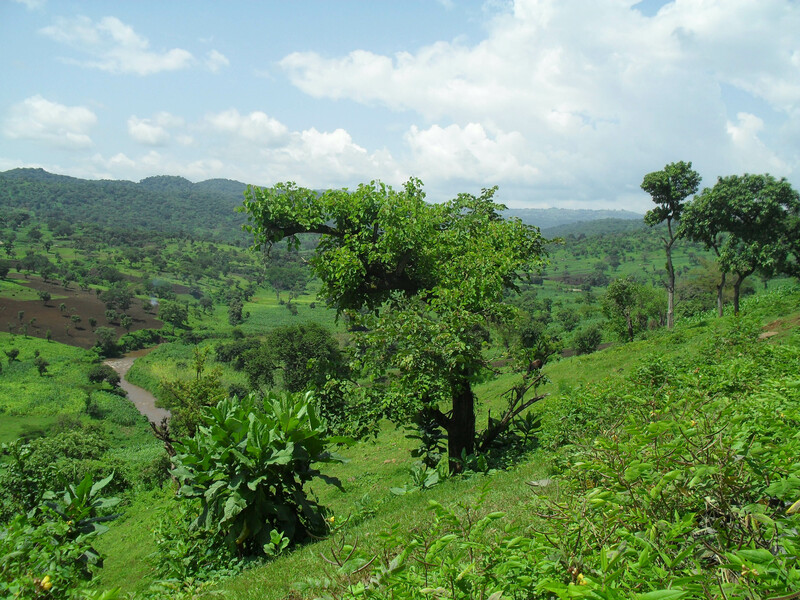 In addition, the fodder development has shown some initial impact on land cover which indicates the potential role of fodder in restoring degraded lands. Another beneficial effect is the mitigation of termite infestation, through the cultivation of termite resistant fodder species. The benefits accrued from these interventions are beyond monetary value and offer a range of incentives which ensure the sustainability of the practices in the longer-term. However, farmers are also looking to the future and requesting further support to improve livestock management, access to market and the processing of livestock products. These achievements have received appreciation from other farmers, who have been directly and indirectly involved, as well as zonal and woreda officials. The interventions have been commended by local government who recognize that fodder development and soil and water management are priority issues. As a result the Diga IP intervention sites have not only become demonstration sites for farmers and government line offices but also for University students. During 2013 a series of field days have been organized by the woreda livestock agency and IP members to show-case the interventions to partners. Participants were astonished by the success and praised the IPs contribution. The Woreda Livestock Agency Head said there had been a “remarkable change with little investment” and while addressing the 8th IP meeting the Woreda Administrator added that the interventions were a “surprising outcome”. In addition, the Diga Livestock Resource, Health and Market Agency was prized by East Wollega Zone Administration as the number one office among seventeen districts in working to achieve its annual goal, largely due to the success of the innovation platform.